Google has rolled out Chrome 69 Beta with a number of changes that include both new feature additions, as well as the deprecation and removal of multiple legacy features. 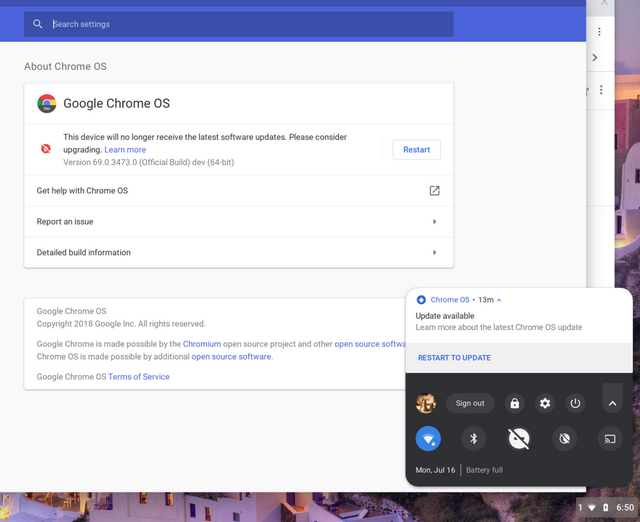 The changes apply to the newest Chrome Beta channel release for Android, Chrome OS, Linux, macOS and Windows. Next to the URL, Chrome currently displays a little tag that features a lock icon and the word ‘secure’ in green, letting users know that the data is being securely encrypted, rather than sent out in unencrypted plain text, which is what happens when using the old HTTP standard. With a huge majority of sites moving to HTTPS, Google believes that the green symbol is now redundant, and is now removing the green coloring and the ‘secure’ wording from sites using HTTPS, although, the security itself isn’t going anywhere. The AV1 Video Decoder is a codec that significantly improves compression efficiency as compared to VP9, and is expected to be implemented in Chrome going forward. Google has taken the first step with Chrome 69, adding the decoder for now, with the encoding capabilities expected to be included in future versions. 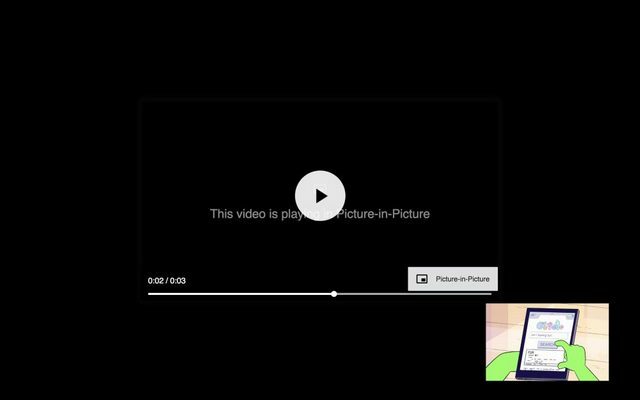 Another major addition is the implementation of a native Picture-in-Picture (PiP) mode by default on all desktop platforms. While the feature was already available in Chrome 68 after the latest material design refresh, it had to be enabled manually by users. Ligatures are described as ‘combinations of two or more letters in a single symbol’, and Chrome 69 will allow users to select any such symbol – even part of it – in Chrome 69. “This includes both mouse selection as well as cursor selection in input and textarea elements”, says Google. 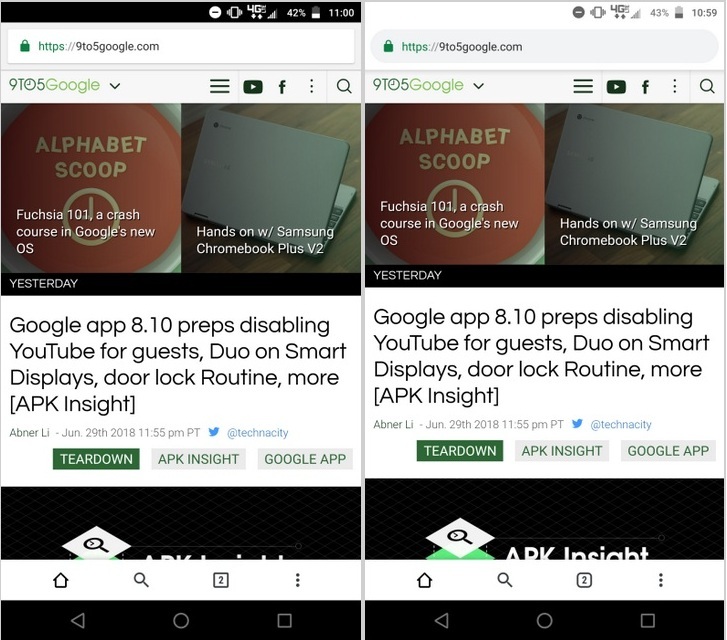 The Android version of Chrome 69 will natively support ‘notches’ on Android smartphones. Additionally, the Web Authentication API now also supports CTAP2 FIDO devices, aiding biometric authentication and resident keys (keys stored on the device). Chrome 69 also adds several buttons to the bottom bar as part of the ‘Duet’ design language (formerly Duplex) that splits the browser’s toolbar into two, adding home, search and other options to open the Omnibar, tab switcher and an overflow menu. That being the case, the last two buttons have been removed from the top-right corner of the address bar. The latest update adds a new voice dictation button in the status bar. The feature can be accessed through the ‘Search+D’ shortcut, with the on-screen accessibility keyboard or the virtual keyboard’s microphone icon. The Files app is also gaining native support for ‘Team Drives’, a G Suite feature for companies to store, search and access files. Also rolling out is the ability to remap external keyboards from within Settings.